Since its publication in 2008, readers and reviewers have embraced Richard Wagamese's One Native Life. "In quiet tones and luminous language," wrote the Winnipeg Free Press, "Wagamese shares his hurts and joys, inviting readers to find the ways in which they are joined to him and to consider how they might be joined to others." 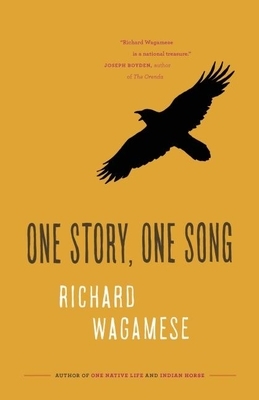 In this new book, Richard Wagamese again invites readers to accompany him on his travels. This time his focus is on stories: how they shape us, how they empower us, how they change our lives. Ancient and contemporary, cultural and spiritual, funny and sad, the tales are grouped according to the four essential principles Ojibway traditional teachers sought to impart: humility, trust, introspection, and wisdom. Whether the topic is learning from his grade five teacher about Martin Luther King, gleaning understanding from a wolf track, lighting a fire for the first time without matches, or finding the universe in an eagle feather, these stories exhibit the warmth, wisdom, and generosity that made One Native Life so popular. As always, in these pages, the land serves as Wagamese's guide. And as always, he finds that true home means not only community but conversation--good, straight-hearted talk about important things. We all need to tell our stories, he says. Every voice matters. Richard Wagamese is Ojibway from the Wabaseemoong First Nation in Ontario. A member of the Sturgeon Clan, he is one of Canada's foremost authors and journalists. He is the author of six novels, one collection of poetry and three memoirs. His most recent novels, Indian Horse (2012) and Medicine Walk (2014) were national bestsellers and published to brilliant reviews. Indian Horse was the People's Choice finalist in the 2013 Canada Reads competition. Richard has also been honored with the 2012 National Aboriginal Achievement Award for Media and Communications and the Molson Prize for the Arts in 2013. He lives in Kamloops, BC.